The ‘Festival State’ calls you for an exciting sojourn across its nook and crannies.. It not only has a culturally rich past but is also a place where the present is equally enchanting. With numerous places to be explored, wide variety of cuisine and some of continent’s finest wine, South Australia will definitely leave you yearn for more. The state can be, in many ways, called the wine barrel of Australia. Most of Australia’s wine is produced in this region. If wine entices you, you can visit some of the finest vineyards and taste some of the smoothest blends in the State. The places which you can look forward to include Barossa Valley, Clare Valley, McLaren Vale, Coonawarra, the Riverland and the Adelaide Hills, not only for wine but also for the abundance of natural beauty. 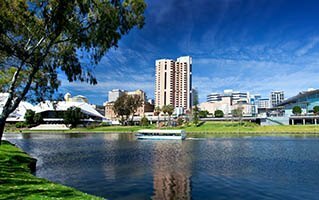 If you want to experience this culturally vibrant state, the best way is to take a South Australia car hire. It will take you around the major cities, attractions and hang outs which are worth exploring. South Australia car hire is active in and around Adelaide, adjacent cities and regional places. The most desirable places which you cannot miss are Lake Eyre, Nullarbor Plain, The Coorong, Kangaroo Island, Eyre Peninsula and Yorke Peninsula. Traveling across, with a rented car, is convenient as these services are equipped with picking you from most of the pickup points. With immense reach, you will never face accessibility issues. Besides that, the convenience of travelling makes it even handier. You can choose your preferred car type and model from the recent line up of cars available with them. You can see the places you want, visit the events you do not want to miss out and spend as much time as you wish, everything at your pace and convenience. If you think with such liberal facilities, hiring a car may dig a hole in your pocket, you are mistaken. These services are highly affordable. You just need to book it in advance through online booking or just get the service at the dedicated airport counters. 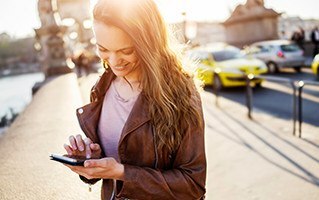 Forget the hassle of switching through public transport and keeping track of their schedule by hiring a car. What you cannot miss in this State are its festivals. The calendar of this part of Australia is always choked with annual events and festivals. The Adelaide Festival is one of the most famous amongst the art connoisseurs. The music lovers are also not disappointed as well. WOMADelaide is a renowned music festival across the world. It is a four-day event held at Botanic Park. Hire a car and drown into this impeccable part of Australia which provides a blend of long summer, stunning beaches, tastiest wine, arts and festivals and much more for its visitors.